Everybody is invited to see how many faces can be named from this classic of 1959. If you recognise yourself or anyone else, please post below. 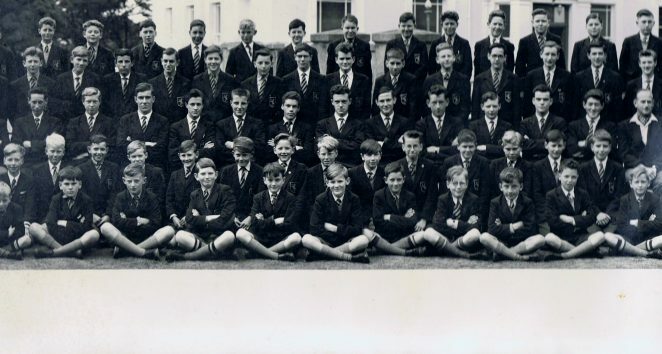 I think I can see my cousin Ian Chapman in the 3rd photo, on the far left of the row behind the front row. Gosh ! How wonderfully small the school looks! Picture 1, the teacher wearing his gown may be Mr. Langridge the music teacher who played the hand pumped organ in the chapel and the piano in the new Refectory(1964). Picture 3, the teacher at the end of the row in a white open neck shirt and cravat May be PTI Mr. Cobb( former army DI). 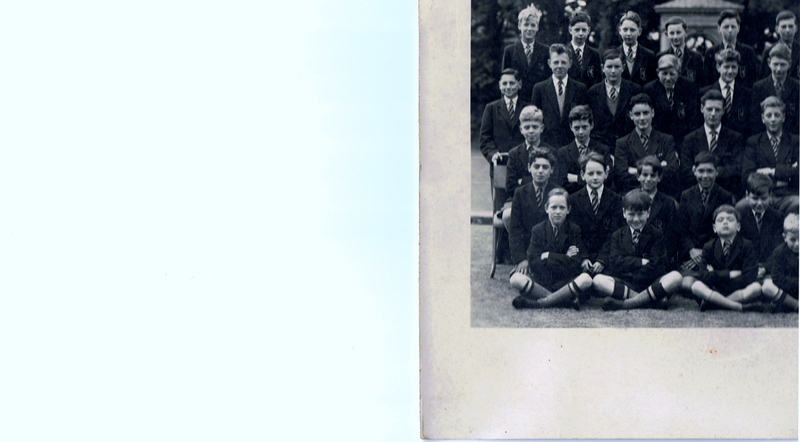 When I joined in 1964 my headmaster was Bro. Elwyn, and part of the influx of new De La Salle Brothers! I am 3rd from left in the second row back from the front. I left in 1960 for Mayfield College. 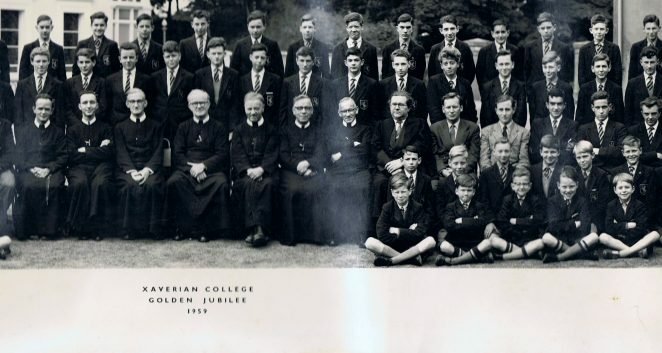 Brothers Nathaniel and Bead (onomatopoeia), transferred to Mayfield when the Xaverian College in Brighton was taken over by the De La Salle Order.